The tin mines where tektites are found! 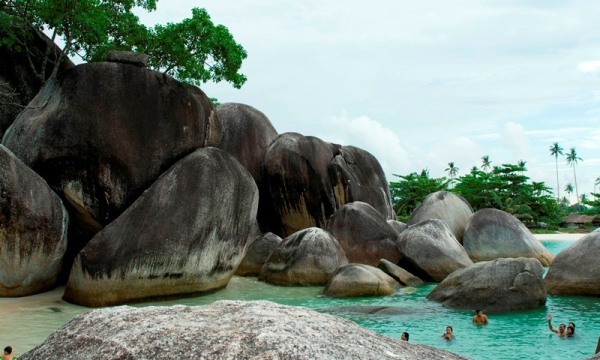 In Belitung there are a number of jobs you can choose. 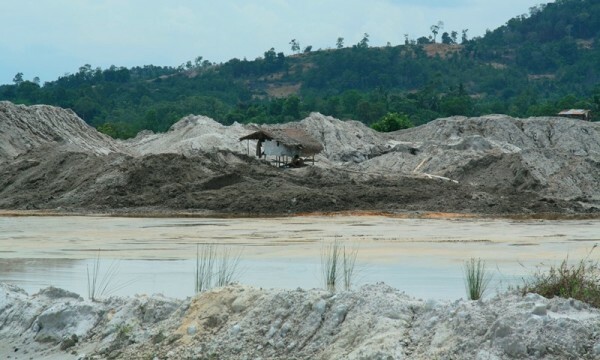 Tin mining is an obvious one and in fact people travel from other areas in Indonesia to work here. 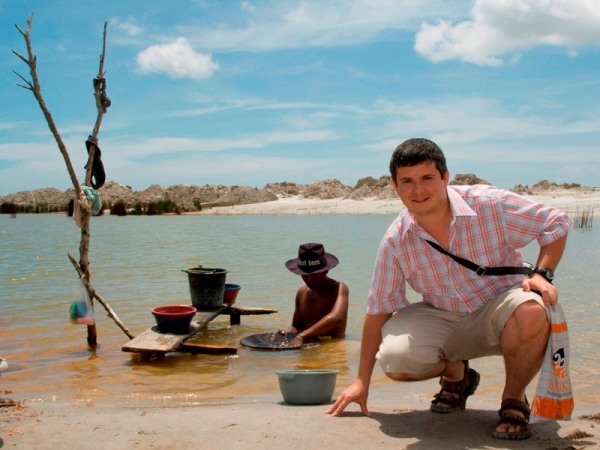 Other industries include Palm oil, fishing and coffee shops (which are very popular). 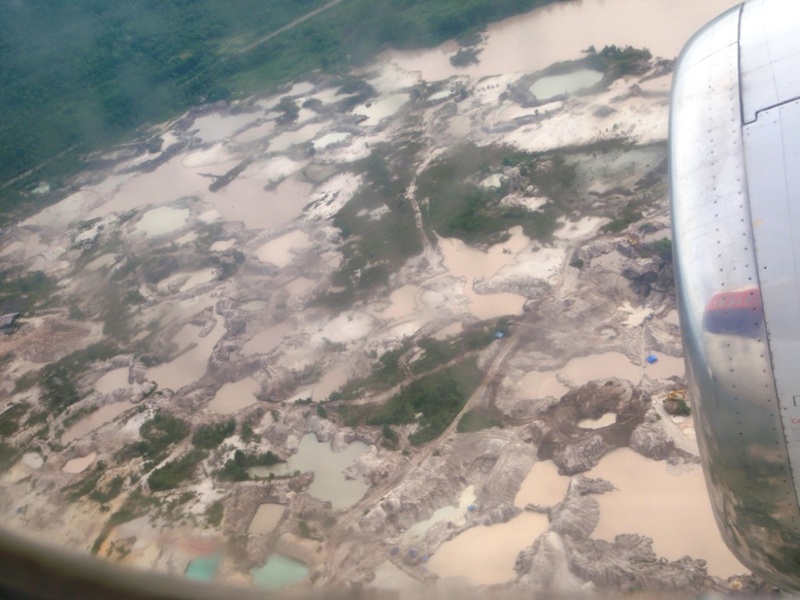 When flying over Belitung you’ll see many holes in the ground filled with water. These are the tin mines. The miners are solely after tin and no other metal. Wherever you go on the island you can see tin dust washing out of the ground. The tin ore (Cassiterite) is of variable quality and so mines are located where the best ore is found. Low grade ore cannot be sold. Most of the mining activity appears to follow river channels, which is of no great surprise. In order to mine a permit must be given, but apparently illegal mines are hidden in the jungle. 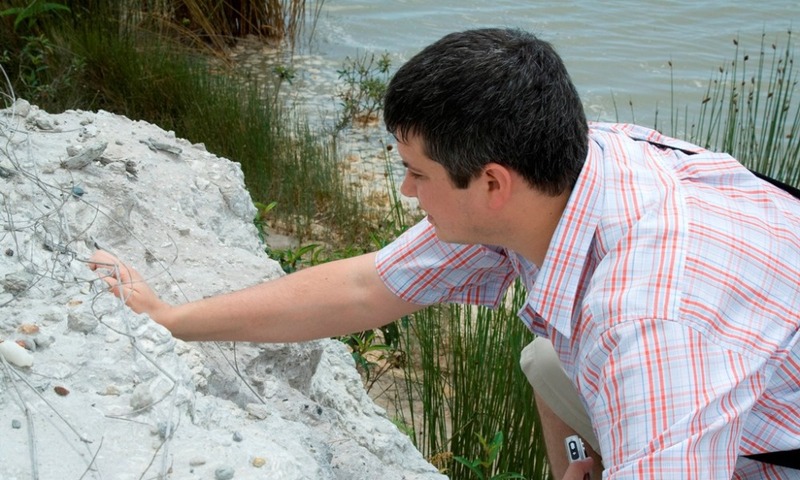 Alluvial deposits are sediments that have been moved and deposited by water in a non-marine environment. Processes act to concentrate heavy minerals such as tin alongside larger pebbles or cobbles, which include tektites. 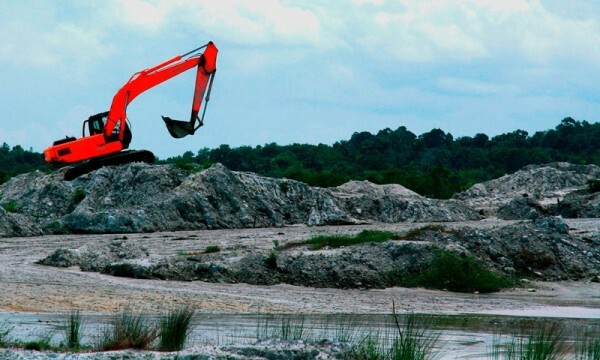 In Belitung, the mines tend to follow river channels for this reason. ABOVE: I love these mines - better than a beach any day! Take a look on Google Earth to see more - the whole island is covered in these mines. I haven’t studied the geology of Belitung in any detail. Given the extensive mining I am sure many detailed geological studies exist. You commonly come across Middle Triassic granite outcrops, some containing large orthoclase feldspar phenocrysts. I am guessing that a huge granite batholith gave rise to hydrothermal veins containing tin. These were eroded and redeposited in alluvial placer sediments along with the Billitonites. It is very clear that the Billitonites have been transported into the sediments in which they are found – they did not just fall and get buried. ABOVE: The granite outcrop. 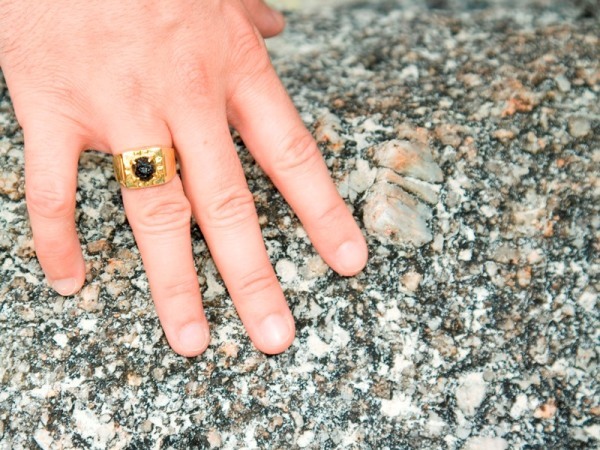 The granite is ultimately responsible for the tin deposits via hydrothermal veins. Additionally the granite encourages acidic waters (it certainly won't neutralise the water). The Scientific American article, cited below, confirms that the turquiose lakes in the mines are highly acidic. This explains why the tektite glass in Belitung is highly etched. Acidic conditions etch glass, wheras alkaline conditions (salt lakes, carbonate areas) encourage preservation. So the tin mining process starts with digging huge holes with JCB’s. 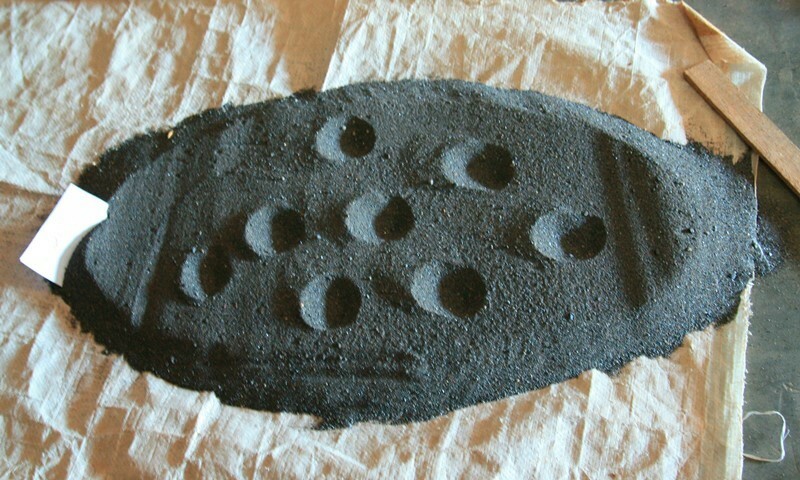 The holes are generally a few to 5 to 7 metres deeper. Sometimes they are deeper than 10 metres. There seems to be little mechanisation, although I may be wrong. We came across a tin panner. The tin panner pictured had travelled from his home near Jakarta (?Danpok) to work here. He is employed to do this, so is not just panning for himself. 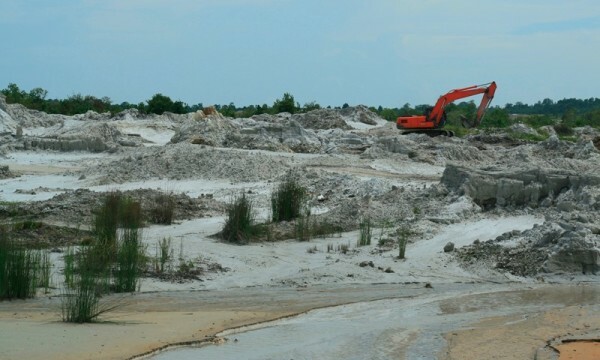 All these tin mine photos were taken at Selingsing, East Belitung. As is often the case, tektites are a by-product of mining. In this case they are after tin. In Bicol, Philippines they are after gold. 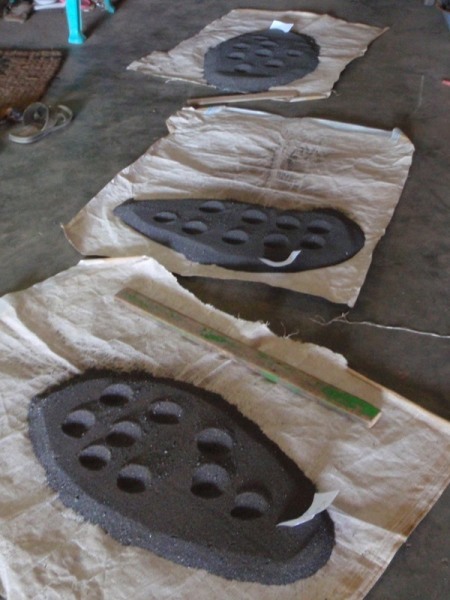 The miners know that tektites are worth money and so they are collected for additional income. So this is how the tin panner spends his day. At the end of the day maybe he gets 20kg of tin ore. On a bad day maybe only 5kg or even none at all. The tin is worth roughly $5.40 a kilo these days (end 2008) although previously it was as high as $10 a kilo. 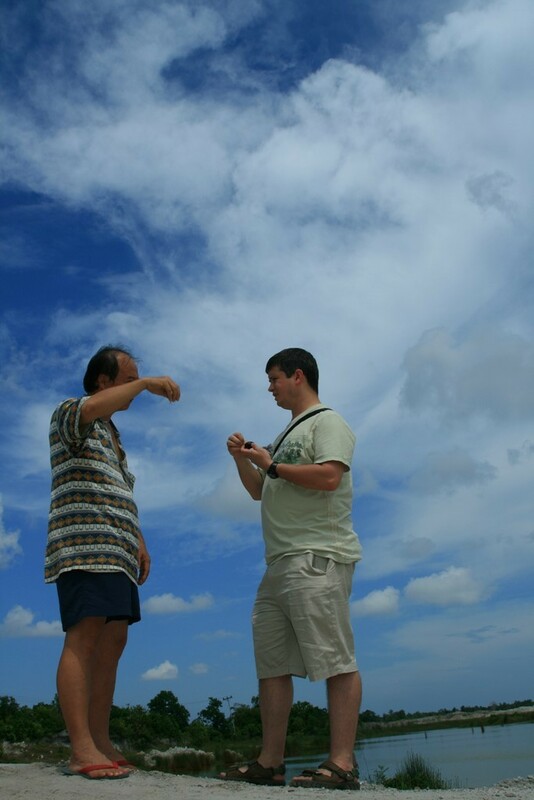 ABOVE: Discussing the orientation of tektites at the mine. ABOVE: Larger than average pieces of tin ore in the palm of my hand. Most of the tin was sand-grade in size. 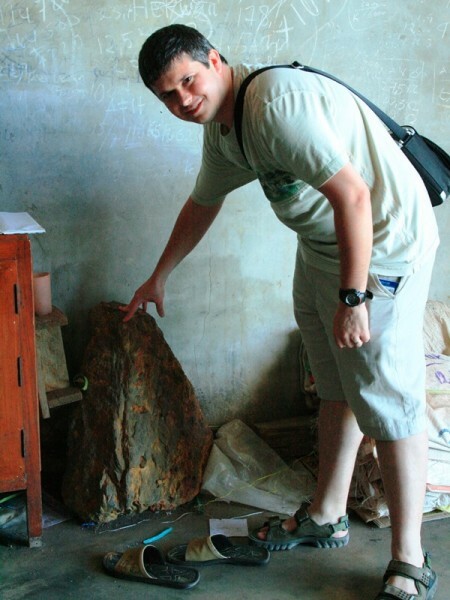 ABOVE: This is a huge slab of tin ore! I don't think this was found in a tin pan! 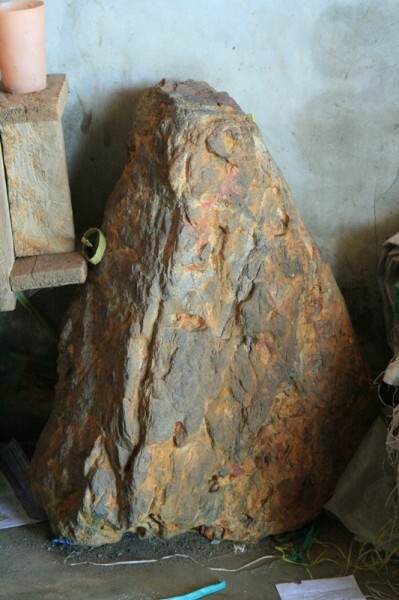 The ore is gathered up and taken to the buyer. The buyer will spread out the ore and then grade it. To do this he looks at it under the microscope and he measures the specific gravity. Once he knows the quality then he knows exactly what to pay the tin panner. If it is below a certain grade then it cannot be sold on and is therefore worthless. ABOVE: The panned ore is spread out. Each pile is from a different panner. Scoops are taken out to measure the specific gravity. 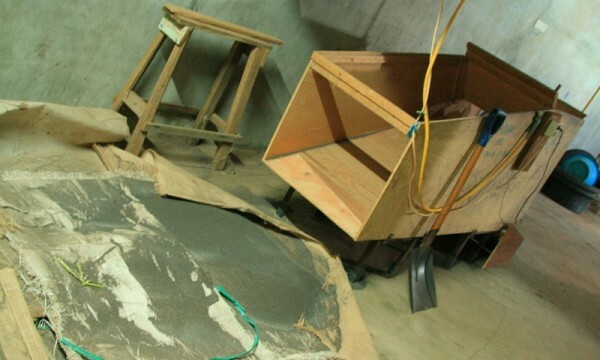 This aids in determining the quality of the ore, as tin is heavier. Once the quality is known you can work out how much to pay for the tin ore. 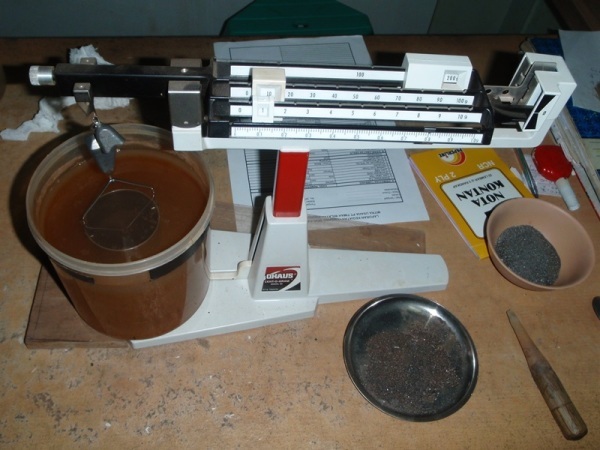 ABOVE: The grade of the ore is also determined by microscopic analysis. ABOVE: The apparatus used to determine the specific gravity of the tin ore. 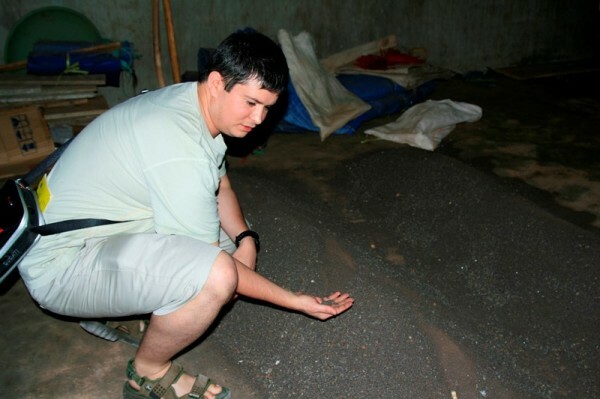 The buyer then piles the ore up and will pack it into 60 kg sacks. He must sell this ore to the government. He is not allowed to export the tin ore directly. ABOVE: I presume this is for sorting out the size or grade. ABOVE: The tin is placed in piles, ready to be put in a sack. 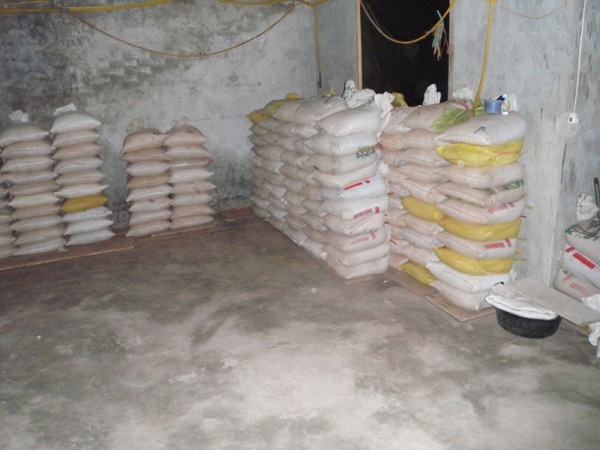 ABOVE: Finally the tin is placed in 60kg sacks and is ready to be sold. So where are the Billitonites found? The tin panner we spoke to said he didn’t find tektites when panning, but others had. Generally the sediment he pans is too fine. 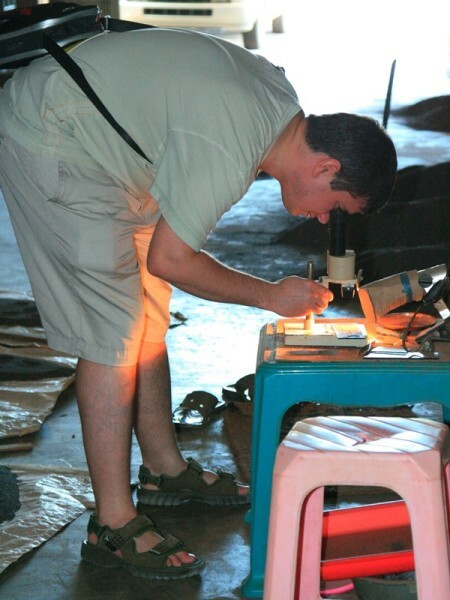 If he did find a tektite it would likely be one of the very small ones. Most of the tektites are found when the JCB digs up the ground. Miners spray the rock with hoses to break it up, tektites may be found at this stage. Also after a rain storm, when the piles of rock are washed clean, the tektites should be sitting there. A passing miner will see the tektite and pick it up. I would love to search here myself if I had time. So these tektites are dug up from depths of around 0-10 metres. 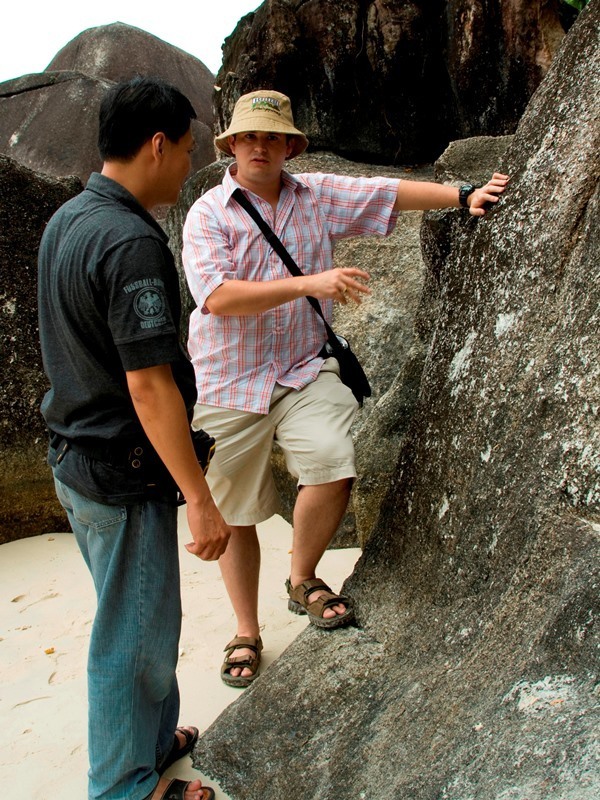 I have described the lithology at Selingsing, East Belitung on a seperate page. Briefly the sediments comprised fine grey argillaceous sands/sandstones. The clay matrix swelled up when wetted leading to the rapid break-up of the rock. The exposure I was looking at was probably not in situ and most likely represented heavily compacted and dried out (becoming solid) mixed spoils. I had insufficient time to walk around the tin mine and study a decent outcrop. I can easily envisage larger tektites being incorporated into this sediment. 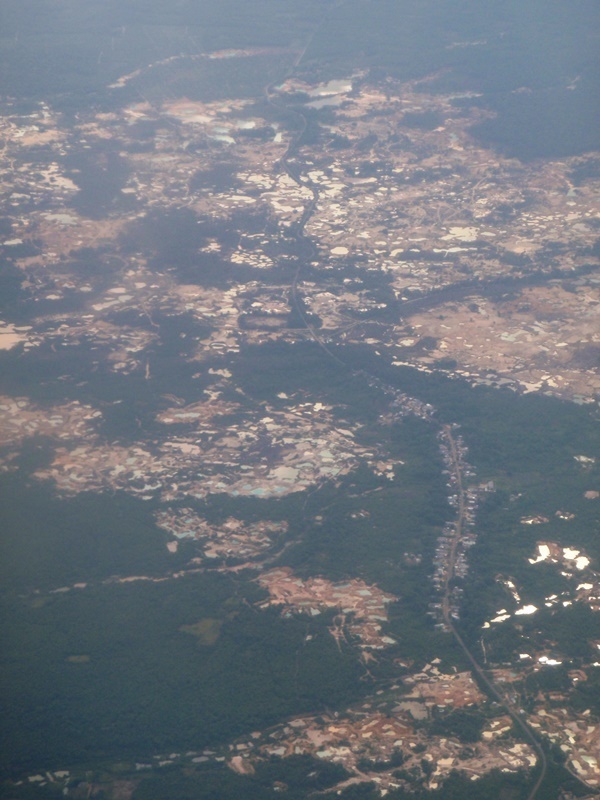 Elsewhere, near Tanjungpandan (and I don’t know if tektites came from here), the lithology was predominantly clays. To me, this sediment in Tanjungpandan looked much less likely to contain tektites as the sediment was all fine. 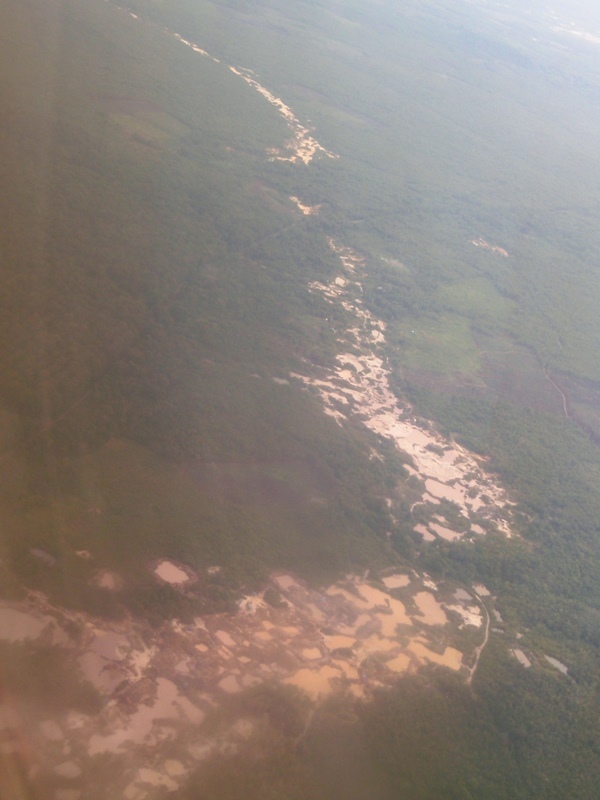 ABOVE: Some shots of the lithology at Selingsing, East Belitung. It is predominantly argillaceous sands and sandstones. It was uncertain whether this rock was heavily compacted spoils or genuinely in situ, the author suspects the former. I have also heard that there are dredging operations and mechanical scooping (‘bucket-wheel-spoon’ is what I was told) operations offshore-Belitung, which work in water depths of up to 40m looking for tin. I couldn’t get much information on this and don’t know how correct this information is. I think a lot was lost in translation. I was told that no tektites come from these operations, although assuming dredging exists I would imagine that tektites should be found (just maybe not separated). 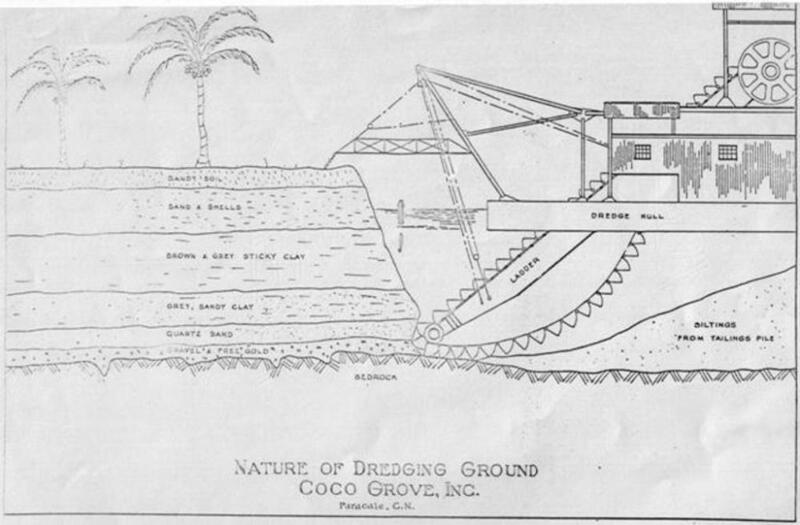 ABOVE: An example of a dredging operation in Bikol, Philippines. In the Philippines they were after the gravel at the bottom, just above the bedrock, which contains gold (and tektites!). From Eek D. van. 1939. 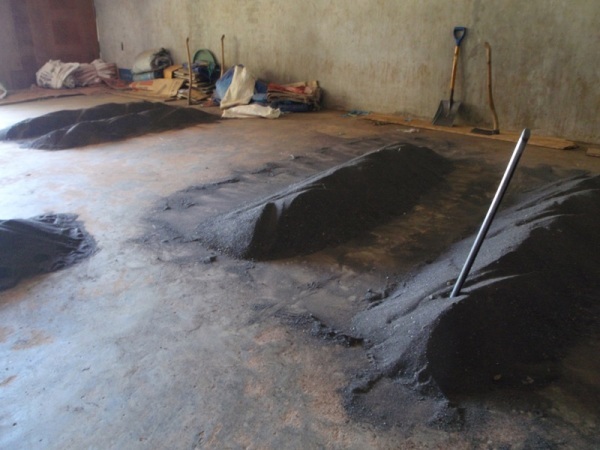 The tektites of Coco Grove (Part II). The Marsman Magazine, Manila. 4 (3): 10-12. Miners are aware that tektites are worth money, but the value they are sold on at is apparently highly variable. They may just be given away when they sell the tin ore, kind of as incentive to get a good price for the tin. Alternatively they are taken to the Jewellery stores and sold. There is no fixed price. If the miner has enough tin and money then maybe he will sell them cheaply. If the miner found little tin and needs money maybe he demands a high price. It all appears rather random – piece by piece. This is perhaps why the retail price is also a little random. There is no fixed price per gram. It was very clear to me that Billitonites are not that common. You are ‘lucky’ to find one. In support of this are the magical qualities and superstitions surrounding the stones and the fact they are dealt by Jewellery shops and sometimes transformed into jewels. Rare things always have a higher human and monetary value. I have come across some articles (and photos) on the internet, with regards Beitung's tin deposits, that may be of interest: I am sure there are many more. Scientific American - Indonesia's tin islands: blessed or cursed? Abstract - Adam, J. W. H. 1960. On the geology of the primary tin-ore deposits in the sedimentary formation of Billiton. Geologie en Mijnbouw. Netherlands Journal of Geosciences. 39(10): 405-423. Abstract - Aleva, G. J. J. 1985. Indonesian fluvial cassiterite placers and their genetic environment. Journal of the Geological Society. 142 (5): 815-836.